New Hotflush is not for claustrophobic dubstep caves but for garden gatherings along sizzling barbecues and fizzy drinks. Sun lotion is recommended when using Praveen Sharma’s and Travis Stewart’s burning new release. The title track on A1 is a soulful and mild piece, combining pitched up deep house elements with delicate bass and conveying the message of love. “Down” is my fave here: more wonky and vibrates around gorgeous urban vocals saying “deep in the underground” on undulating chords. “Every Day Of My Life” opens the B-side: a subs-backed slow funk contribution with vocal support along the title theme. Then “The Warning” concludes with a moderately paced housier contribution and “this is the warning” vocal sample. A colorful EP that in some aspects reminds of Goldie’s “Inner City Life” from 1994. 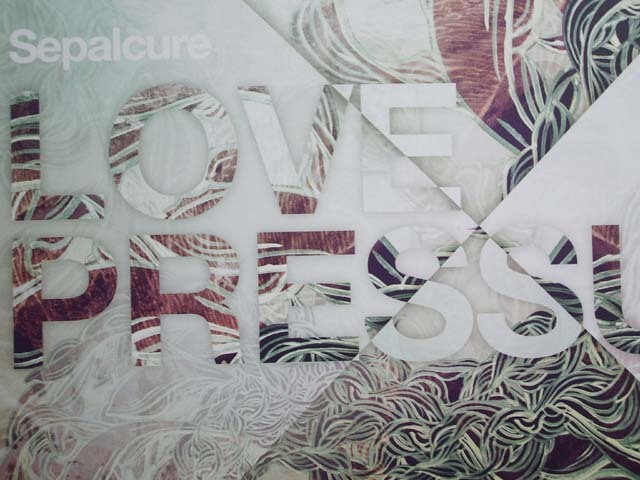 “Love Pressure” has a clear concept that it follows across all tracks, while some creative variations would have made it even better.